Charged with the sacred defense of the Empire, the Japanese Officer fearlessly lead his soldiers into battle against American forces. 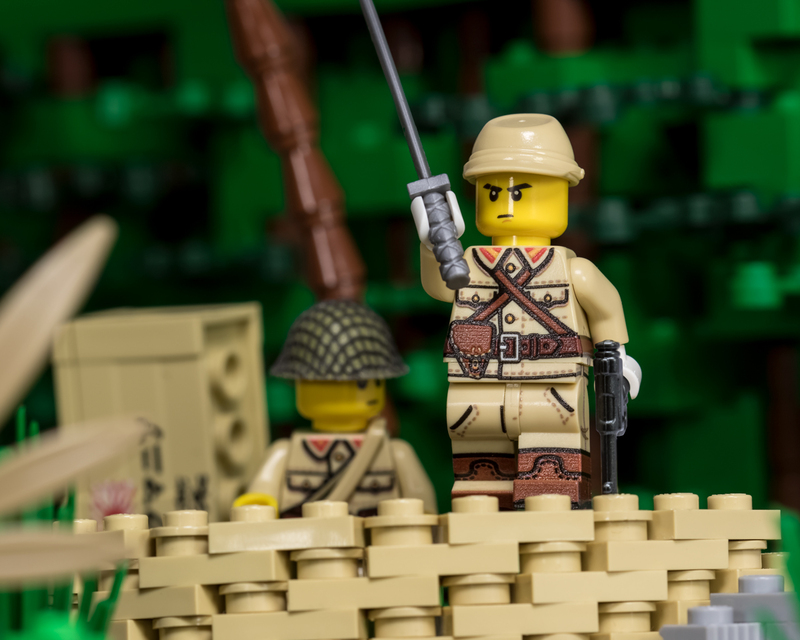 This Brickmania™ exclusive minifigure features artwork based on the IJA Officer Tropical Jacket, IJA Officer Breeches, IJA Officer Leather Boots, Nambu Type 14 Leather Holster, and IJA Officer Canteen. This WWII Japanese Officer V2 features exclusive custom-printed artwork designed by Lando!